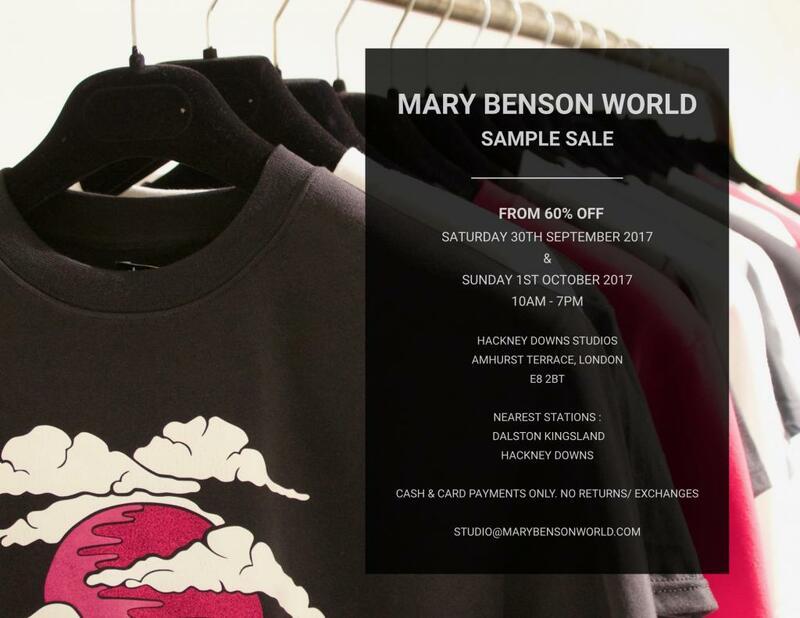 Discounts start at 60% off in this two day sample sale from Mary Benson World in Hackney! Cash and card payments accepted. All sales final.